Pick from our selection of blank pottery bisque, we'll set you up, and you'll paint to your heart's desire! All materials will be provided in the cost as well as an instructor on hand to help you out with any questions or concerns and they're happy to advise you on any designs. 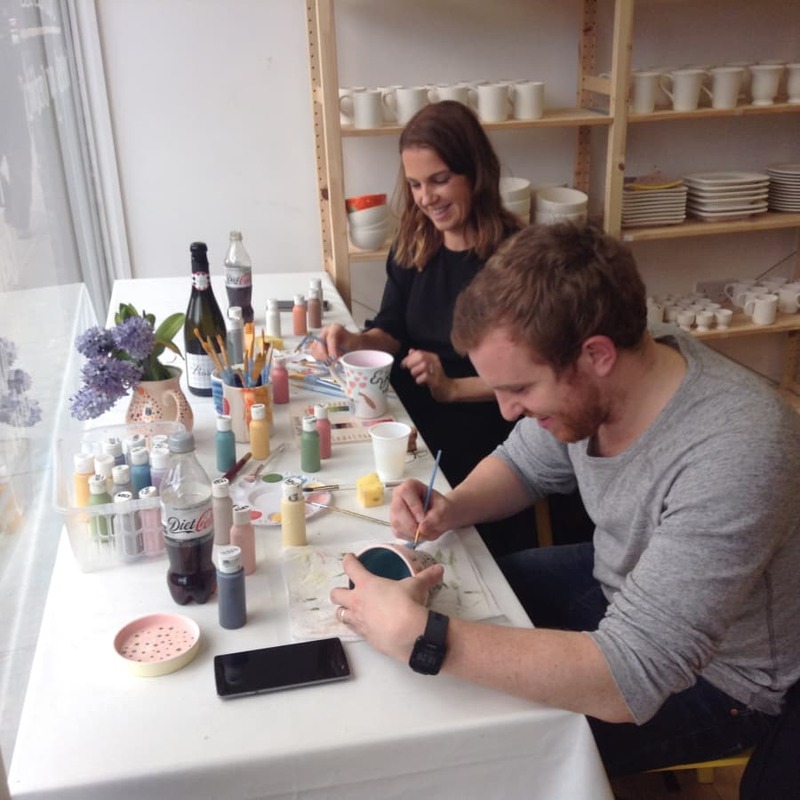 We also have various ways to apply the paint onto the pottery to create special designs - Feel free to ask about this once in session. Any tableware pottery will be perfectly safe and usable once it's glazing process has completed. Also, if you are looking for a gift this also makes for a great 'custom' gift to someone special. Why not add a personal touch to your gift and also get a fun evening out of it! 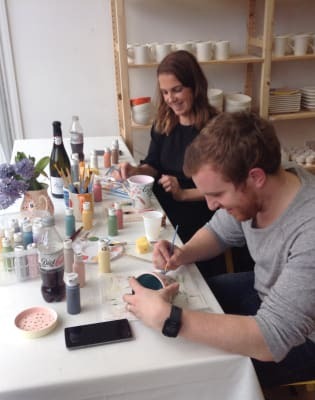 Come and enjoy our social pottery painting. *If you book an afternoon/evening session you are welcome to BYOB (bring our own bottle) and have a relaxed time at the studio as you paint. Loved it, super nice and fun experience, can choose what pottery you want and let your creativity run loose, staff is super helpful throughout. Please be advised that once booked you will be able to choose from our standard selection at the studio (This included regular mugs, bowls, plates and other misc items). If you wish to go for larger items please let us know once at the studio and you'll just have to pay the difference.